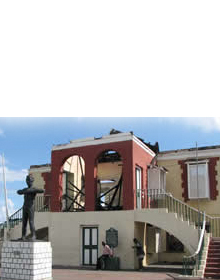 Welcome to the JNHT St. Elizabeth Heritage Sites..
Black River Court House - a fine appearance from the sea and at once attracts the attention of visitors. Black River - The exact date of its establishment is not known but John Sellers' 1685 map of Jamaica identified its existence. Hampton School - has its origins in the Munro and Dickenson Trust. Black River Spa - one of the more popular spas in the island up until the 1930s. Bamboo Avenue - approximately 2 1/2 miles long with the tall bamboo forming a canopy over it. Golmont View House - destroyed by fire in 2004. Appleton Railway Station - constructed around 1894, a two storey Jamaica/Georgian timber structure. Accompong - The town was founded in 1739 when land was given to the Maroons as part of a Peace Treaty with the British. 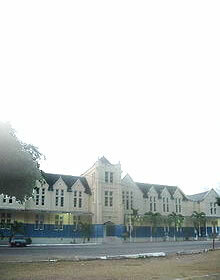 Invercauld - Located on Black River’s seaside High Street as a fine example of late Jamaican Georgian architecture. 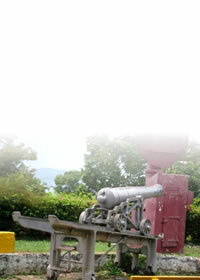 Carmel Moravial Cemetery - The earliest Moravian Mission began its work in Jamaica in 1754.